Smog Check Coupons | Share, give & save! BRAKE SERVICE COUPON–Save 20% on parts! 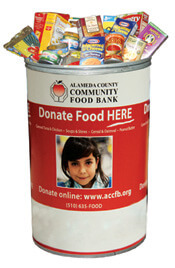 We are an official Drop-off Food site for the Alameda County Community Food Bank. 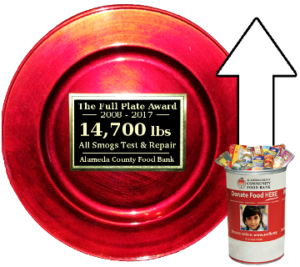 Help us break our food drive record this year–donate two cans and save five dollars on your smog check or 20% on parts for your brake service. Promotion may not be combined with other offers. Don’t need a smog? Feel free to swing by and donate your non-perishable food items. * Offers may not me combined. One discount per customer.